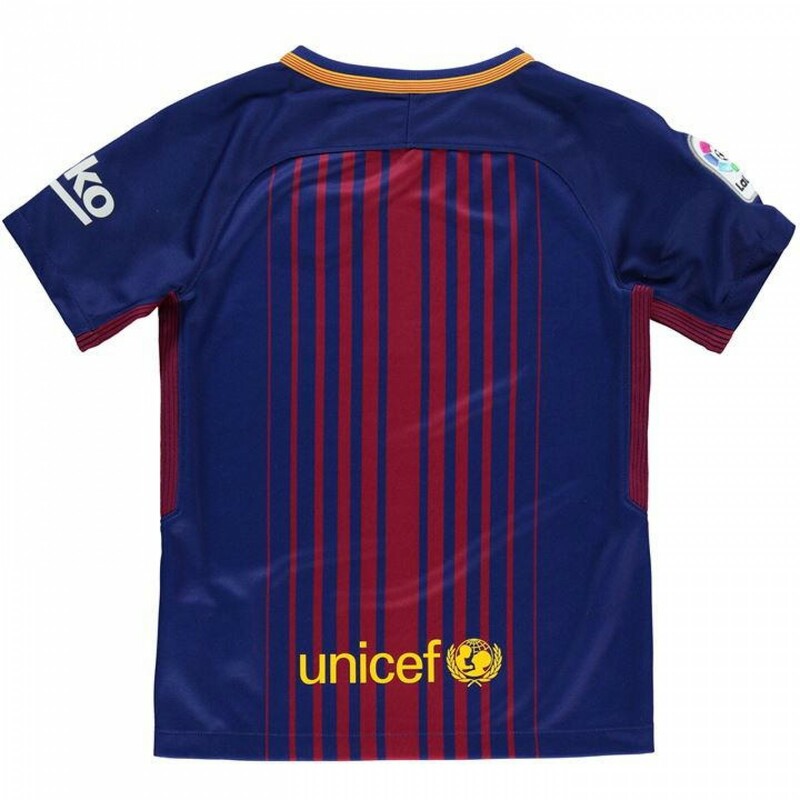 2017/18 kids Barcelona Home kit. 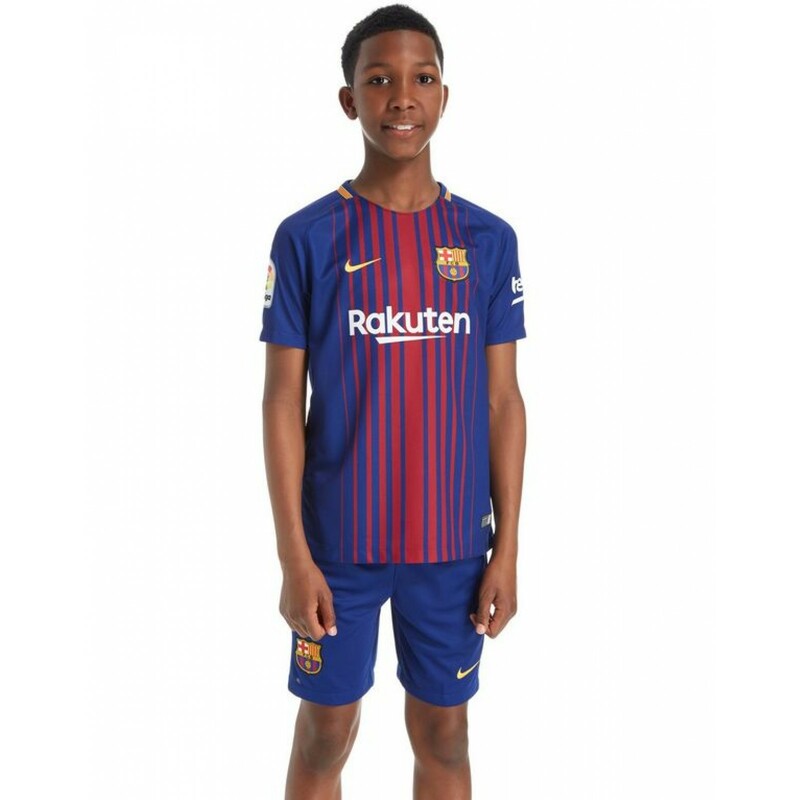 Cheer on Messi, Neymar and FC Barcelona by wearing the latest childrens home kit for 2017/18. 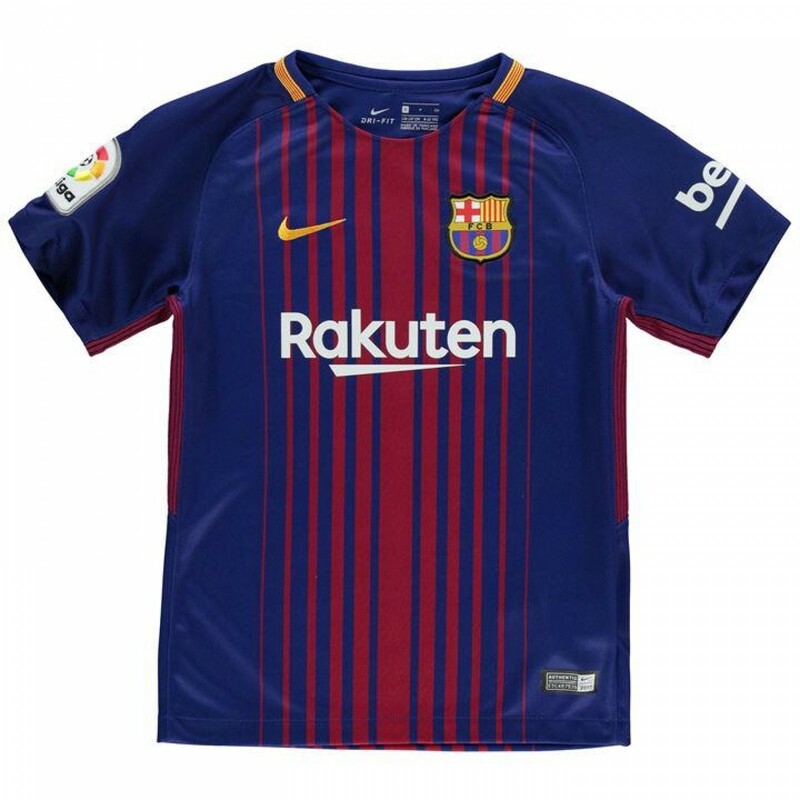 The Barcelona 2017-18 jersey features a totally new fading stripes design and returns to darker shades of blue and red after the classics-inspired 2016-17 edition. 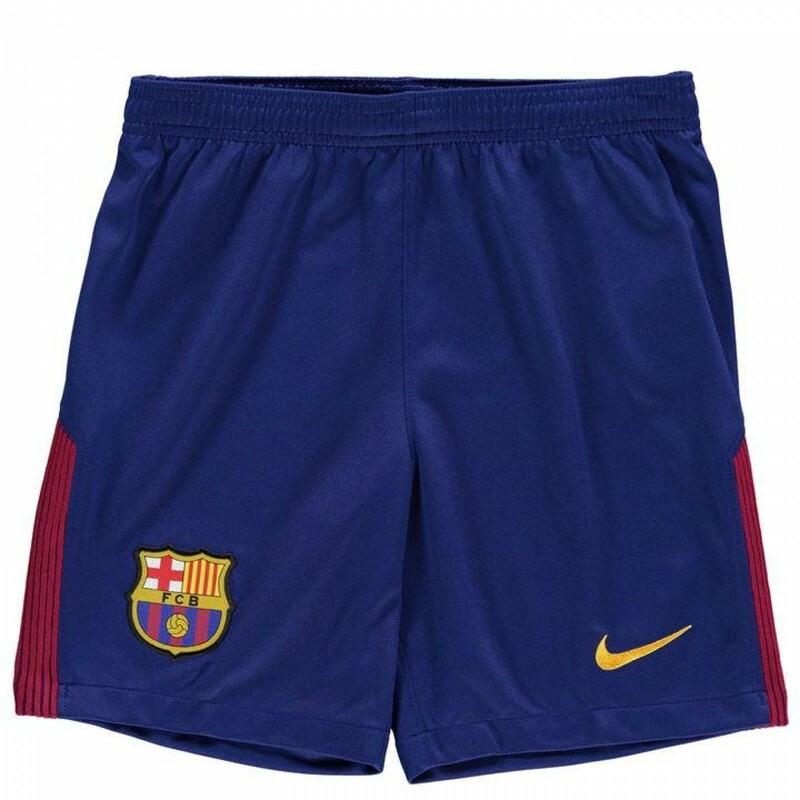 Why not add any name and number for free.